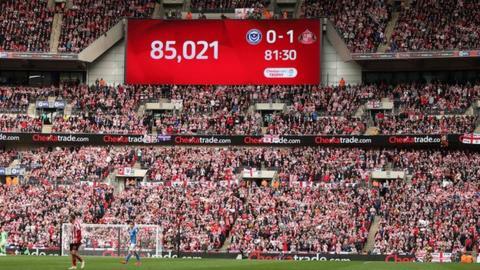 Sunday's Checkatrade Trophy final between Portsmouth and Sunderland drew a record crowd for the tournament of 85,021. But where does this rank in some of the big crowds that have attended games in Europe this weekend? Have a go at putting the following games in order of attendance size. You have five attempts to get it right.